Insect drift, and the way trout have evolved to feed on it, is what makes 90 percent of fly fishing possible. 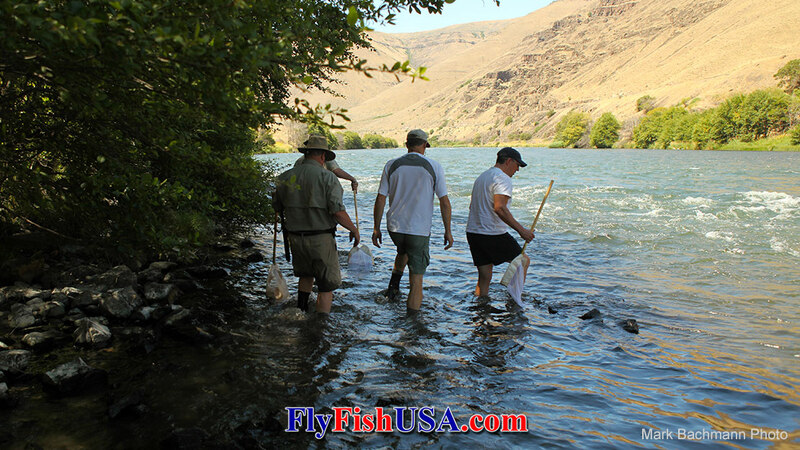 When you stand in a stream or lake and cast your fly into the water, your success depends on thousands of years of refinement in fish and insect behavior. Fortunately for fly fishers, insect behavior and fish feeding behavior, especially that of trout, has evolved to provide the perfect situation for fooling fish with an artificial fly. This may seem rather obvious, but the details are sometimes complex and always helpful to understand if you want to be more successful. A key factor in catching trout with a fly is understanding how trout feed. To get a real understanding of their feeding behavior put on a wet suit, mask and snorkel and go where the trout live. When you watch trout underwater in their natural environment you quickly realize how perfectly suited they are to their habitat. They seem to hold still in the current without any effort. A tiny flick of their tail, a little turn of a pectoral fin, and they adjust to every fluctuation the current continually throws at them. Then faster than you can blink they dart a foot to the right or left, or up or down, then effortlessly glide back to their original spot. It usually happens so fast you can’t see what fins they moved to propel themselves like bionic darts, but it’s what makes trout the perfect quarry for fly fishers because trout, more than any other freshwater fish, concentrate their feeding on what’s drifting in or on the water. This means your fly drifting in the current has a chance of looking like food to them.Imagine what it would be like if trout had evolved to feed only on food attached to the bottom. Instead of casting a size 16 caddis pupa with a three weight fly rod you’d be lobbing snail imitations with enough weight to sink like a rock and stay put on the bottom. A nice heavy casting rod would perform this much better than a fly rod, and instead of wading along the bank you’d be sitting in a lounge chair with a beer propped on your belly. (Hmm, that sounds a lot like the way I started my fishing career.) But my point is that there wouldn’t be any other option if trout didn’t turn to the drift as their main source of food. Trout have lived up to their half of the equation by becoming drift feeders. The rest of the story is about what’s drifting for them to feed on. The answer should be no surprise – aquatic insects. Let’s take a close look at insect drift and what it means to the fly fisher. Aquatic insects have all the basic needs of any other animal: food, shelter, protection from predators, and reproduction. Now imagine the difficulties of meeting these needs for organisms as small as aquatic insects in an environment as dynamic as streams and rivers. How does one find new sources of food, minimize competition for food, avoid predators, and find the right habitat to live in? On land insects can take off across the ground with relative ease, or with their wings cover large distances rather quickly. But how does a tiny insect move against a strong current? While well adapted to living in the current, moving upstream against it is a bit like driving in the wrong direction on a freeway at rush hour. You probably won’t get far. As any good Zen master would tell you, there is a very simple solution: don’t struggle against the force of the current, let go and drift with it. And thus insect drift was born. The common everyday type of drift activity is called “behavioral drift. ”A less frequent and irregular form called “catastrophic drift” occurs in response to extreme changes in the environment – floods, dewatering, oil spills, etc. Catastrophic drift is like a stampeding herd of cattle running away from a tornado. Behavioral drift is like the daily movement of deer or elk through their home range with the distinction that all the movement occurs in only one direction – downstream. 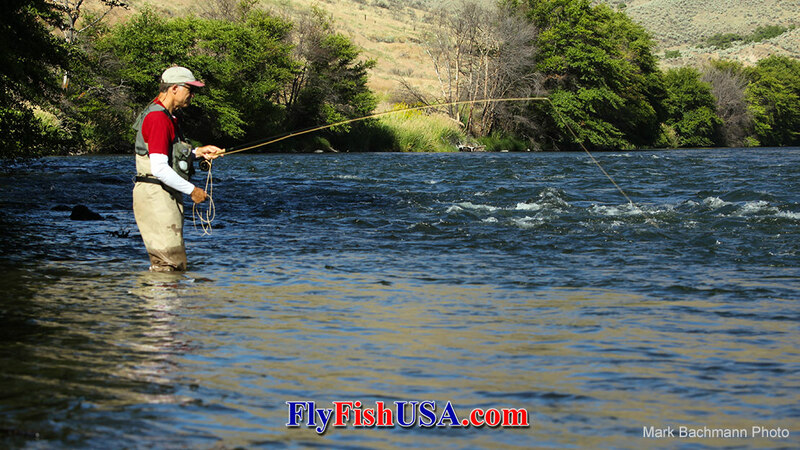 For trout feeding and fly fishing behavioral drift is what’s important. There have been numerous studies of behavioral drift and they have uncovered a number of interesting and useful facts. First, while there is some level of drift occurring all the time, there are periods of the day when drift activity peaks, and these peaks occur at three well defined times over a 24-hour period. The first peak is in the morning generally starting an hour before sunrise and lasting to an hour after sunrise. The second peak is in the evening starting an hour before sunset and ending about an hour after. The third peak occurs in the middle of the night from around midnight to 2 am. These periods of peak drift activity occur consistently every day throughout the year, though the intensity of the peaks may vary day to day with changes in weather, water temperature and stream-flows. The obvious importance to fly fishers is that periods of peak drift mean more food is available to trout and trout respond by increasing their feeding activity. It’s long been known that fishing success tends to be high early and late in the day, and the peak in insect drift at these same times provides an excellent explanation for it. Another discovery of drift studies is that some species are much more common in the drift than others. This makes sense given that some species are much more active and mobile than others. Stone-cased caddis larvae for example are not likely to drift in the current. On the other hand species that swim well, like blue-winged olive mayflies (Baetis sp. ), often end up in the drift. Again this is no big surprise, but if you know what insects are the most frequent drifters, you will know what fly patterns to use when fishing during periods of peak drift activity. A simple example of actual drift data shows how the tendency to drift varies between species. This example is from a small coastal stream in Oregon. It is pretty clear that Baetis and chironomid (midge) larvae are the most abundant insects in the drift. A drift study on the South Fork of the Boise River in Idaho stated, “Chironomid larvae and the mayfly nymphs Baetis and Ephemerella were the most numerous drift organisms and were frequently the only organisms in the drift samples. ”Other species often abundant in the drift include certain caddisflies like Hydropsyche (net-spinning caddis) and Brachycentrus (American Grannon caddis), and amphipods or scuds. Stonefly nymphs are generally not common in the drift. While many species of aquatic insects drift, studies consistently show blue-winged olives and chironomids at or near the top of the list of most abundant drifters. Because Baetis and chironomids are so abundant in most trout streams and tend to dominate the insects in the drift during daily behavioral drift periods, fly patterns that match them are excellent choices when fishing early or late in the day and no other insect activity is obvious. Emergence drift is tied to periods of adult emergence, and thus does not occur at the same time of the day throughout the year like behavioral drift. During cool times of the year (fall, winter and spring) most emergence activity will be during the warmest part of the day, typically 11am to 3pm.During the summer, emergence activity will usually be concentrated in the morning or evening or, for a few species, at night. Because nearly all adult aquatic insects live above the water, and therefore leave the water during emergence, emergence drift is not dominated by a few species like behavioral drift. Instead emergence drift will be dominated by whatever species is emerging at the time. Choosing the right pattern for emergence drift depends on recognizing what adults are emerging and what the nymphs or pupae look like drifting in the current. A great variety of emerging nymph and pupa patterns has been developed just for this purpose. The last aspect of drift to discuss is perhaps the most important to fly fishers, at least to anyone who likes to fish dry flies.This is “surface drift. ”The other forms of drift discussed occur underwater. Anglers may be unaware of them for that reason, but they are very important since most of the time trout feed on what’s drifting below the surface. Fortunately for those who sell expensive rooster hackles, trout also feed on insects drifting on the surface of the water. Interestingly some fly fishers have reached the conclusion that only surface feeding is worthy of the fly fisher’s skill and art, and anything fished below the surface is beneath them. While this makes no sense biologically, it has made for interesting philosophical debates between dry fly purists and those who fish wet flies and nymphs. Three different situations create surface drift. The first is emerging adults. Once drifting nymphs or pupa reach the surface, newly emerged adults sit on the water’s surface for a few seconds to a minute or more before flying off. During that time they drift a few feet to hundreds of feet providing fish easy food and anglers something to get excited about. Second, surface drift activity occurs when adult aquatic insects return to lay their eggs, usually a few days to a few weeks after emergence. Most aquatic adults lay their eggs on the water’s surface and drift with the current while releasing their eggs. After releasing their eggs many die on the surface and continue drifting. 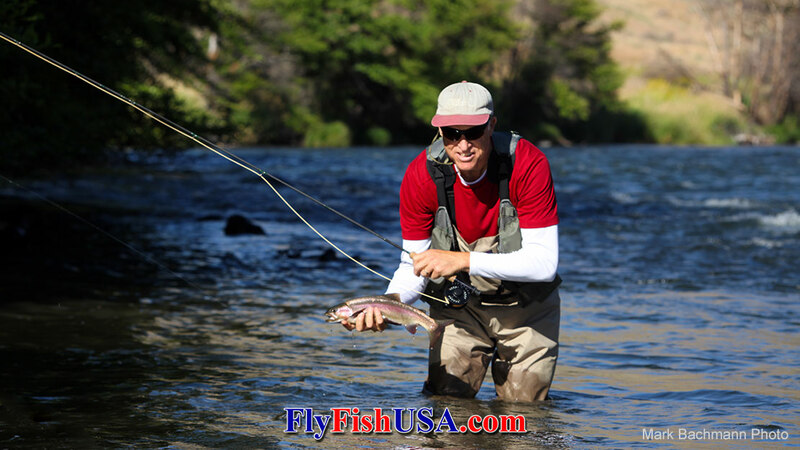 As a result adult egg laying activity provides another excellent opportunity for fishing dry flies. Finally, surface drift occurs when terrestrial insects fall into the surface of the water.Most terrestrials float and struggle in the water’s surface until they reach shore and the safety of dry land, or until a hungry trout zeroes in on their helpless flailing. Warm summer afternoons with a moderate breeze provides the greatest opportunities for this surface drift, though anytime terrestrials are abundant near water they frequently end up as fish food. Surface drift activity does not occur at consistent intervals like behavioral drift. It is subject to a variety of factors that control emergence and egg laying behavior and terrestrial insect activity. Weather and time of year have the greatest influence, but many other factors also play a role. However, because surface drift is not hidden beneath the surface like the other forms of drift, careful observation of what’s on the surface and how fish are feeding will tell you when, where and what to fish. The next time you’re on a stream with fly rod in hand, say a little thank you to insect drift and the drift feeding behavior of trout. If we didn’t get the drift we’d all be sitting in a lounge chair with a beer on our bellies. Like the insects he studies Rick Hafele has been drifting rivers for 30 plus years – in boats and wet suits.